Equation Arts > blog > branding > I believe in you. OK you know Julie and I have pet rabbits, right? 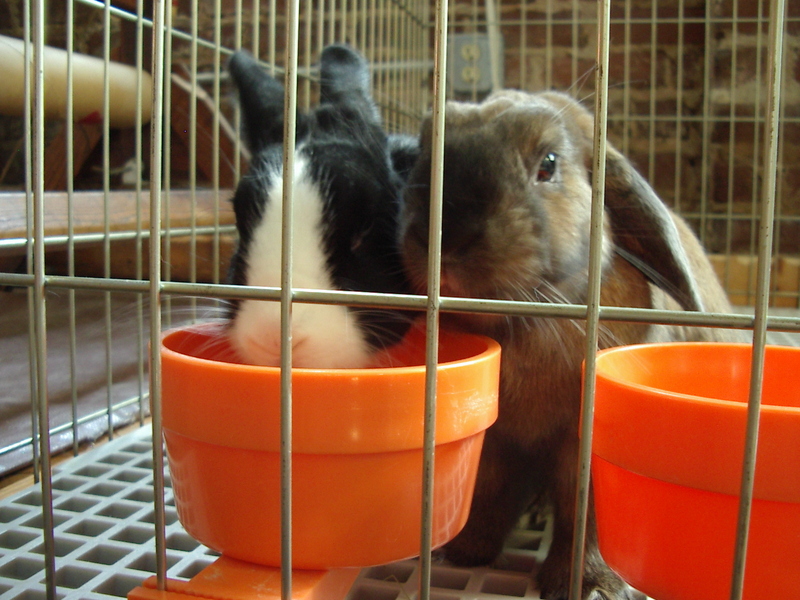 Well when you share your home with rabbits “cute” is never in short supply. Breakfast is especially cute. I come down the stairs in the morning and they get excited – they dart around in their little pen (cute), they nudge each other excitedly (cuter), they stand on their hind legs and sniff (cutest), and sometimes one of them might even do a binky – a special little twisty twitchy hop that bunnies do (cuteness extremis). The point is they know what’s coming. In the world of personal branding this is one target market that I have truly conquered. To the rabbits of the Cohen household my unique value proposition is clear: I am the bringer of parsley. There is no doubt in their tiny little rabbit minds. My consistent behavior in the marketplace has cemented my brand reputation. When it comes to the question of providing a leafy breakfast, every twitch, every binky says “I believe in you”. Are your behaviors reinforcing your message or confusing it? Are your actions aligned with the brand image you are seeking? The whole point of embarking on the personal branding journey is to focus what you offer that is unique and genuine, and then lower the barriers of understanding between you and the market segment that will find what you offer to be interesting, necessary and valuable. The first step is to believe in your own differentiation. The goal is an enduring and oft-repeated “I believe in you”. This entry was posted in branding, Branding Thoughts, love, mad scribblings, nofoto, personal branding, Thought for the day, trust and tagged personal branding, rabbits. Bookmark the permalink. Post a comment or leave a trackback: Trackback URL.